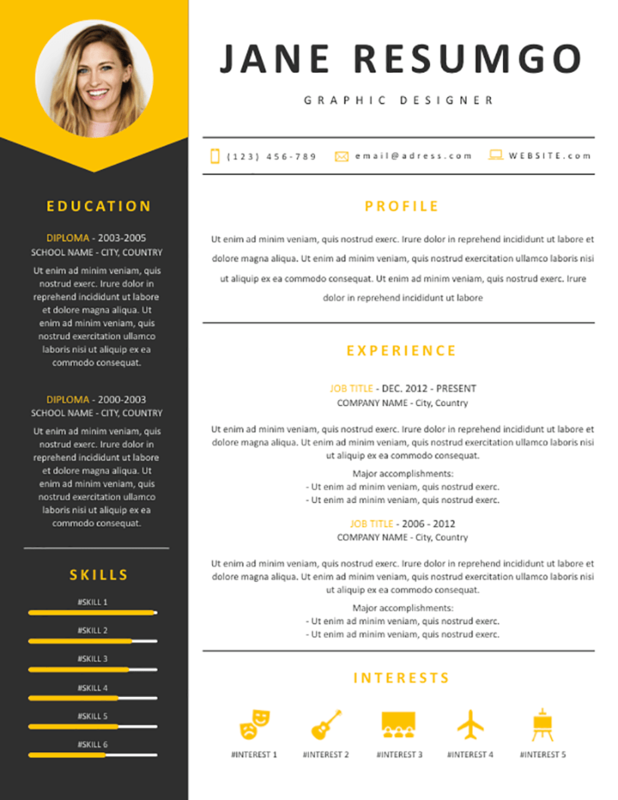 Medeia is a modern gray and yellow free resume template. 2-column structure with a dark sidebar. A left dark gray sidebar sets the tone of this stylish template. Your (circle-shaped) ID photo will go in a yellow pentagon down arrow. And then go your education information and skills (infographic bar charts). The right main part uses a white background. Each part is clearly separated by a horizontal gray line break. On top of this part, feature your (uppercase) name, job title, and contact information. Then, you’ll have extensive space for your profile/objective statement, (professional) experience, and interests (using icons).